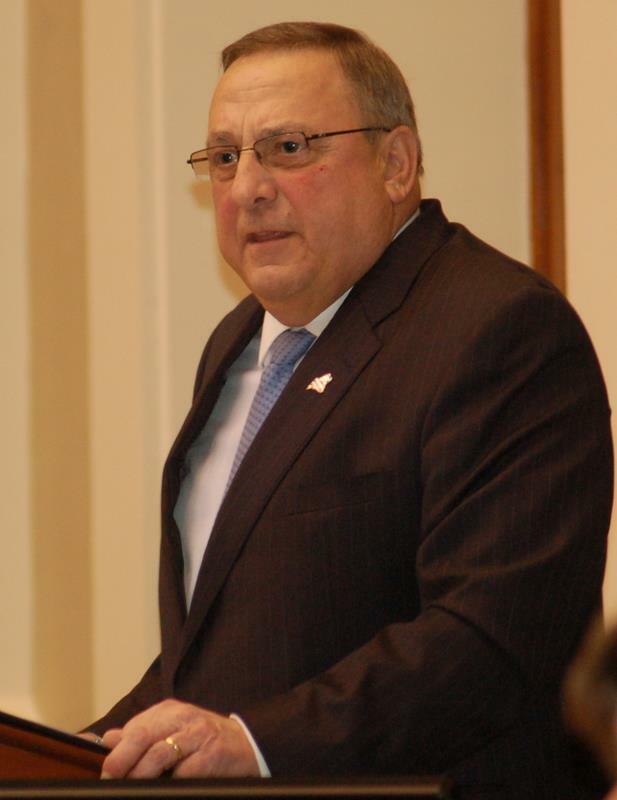 "Gov. 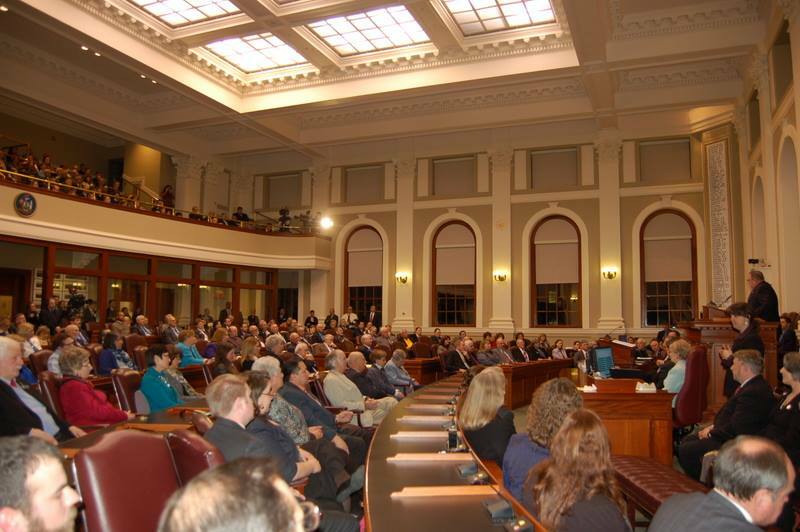 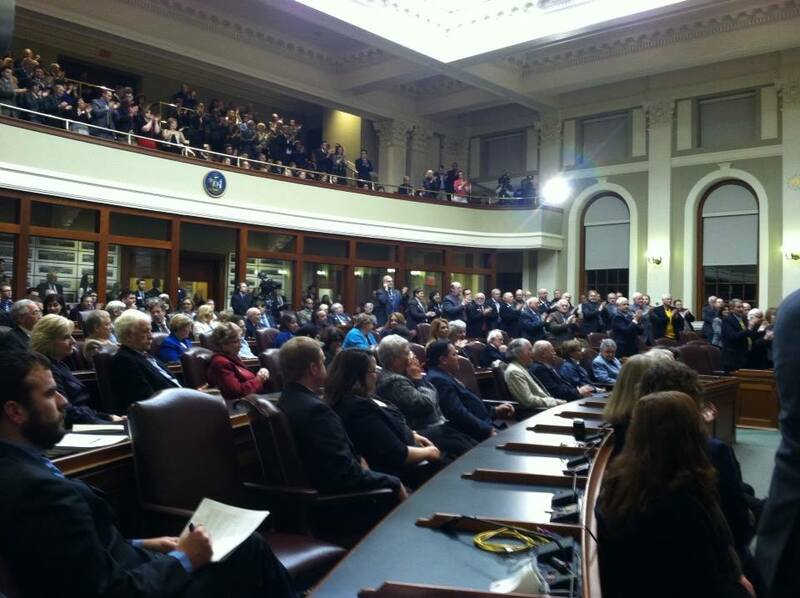 Paul LePage’s third State of the State address was delivered to an assembly of Maine lawmakers, but Tuesday’s 50-minute speech was directed at the two men with the best chance of keeping him out of the Blaine House for another four years. 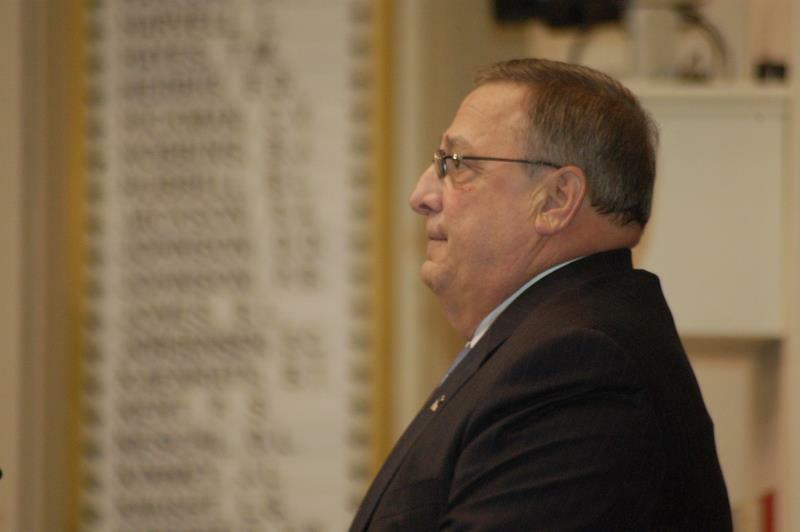 Even his call for a statewide referendum to ask Maine voters if they want to support $100 million in tax relief in exchange for $100 million in reduced government spending appeared to double as a campaign strategy to mobilize voters." 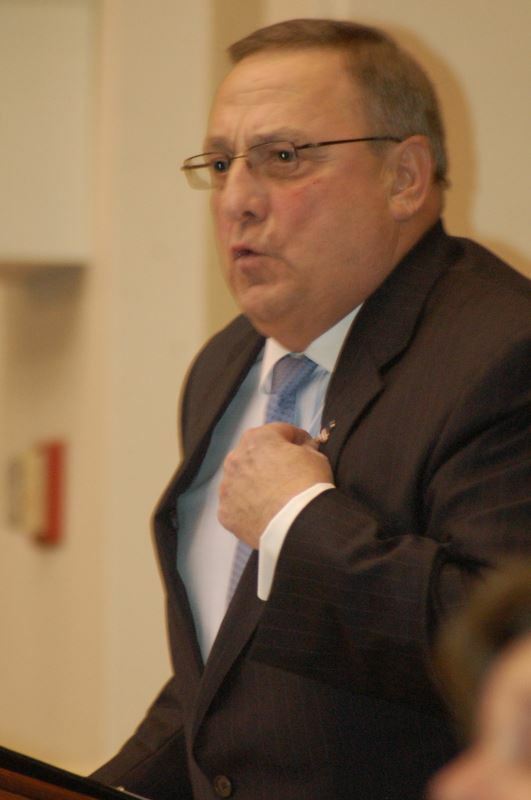 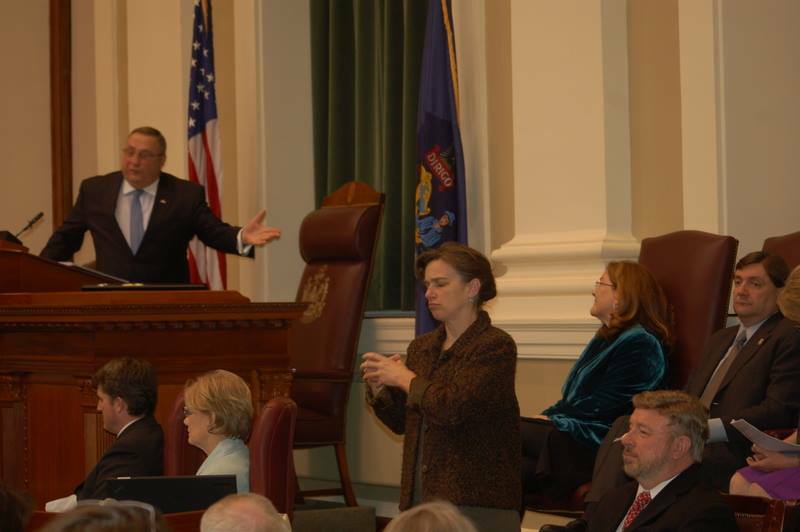 Governor Paul LePage motions to Maine Supreme Court Chief Justice Leigh Saufley during his State of the State address.